Our members are actively working on climate change and related issues around the region. Below is just a sample of the climate adaptation efforts that are occurring. If you have any climate adaptation projects or initiatives that you would like to share, please contact us to provide details. Both the Sacramento Municipal Utility District (SMUD) and PG&E are members of the Department of Energy’s Partnership for Energy Sector Climate Readiness. SMUD has analyzed its vulnerabilities to the impacts of climate change and invested in a diverse renewable energy portfolio, and PG&E has also completed a vulnerability assessment to examine its exposure to climate impacts as well as preparation strategies. 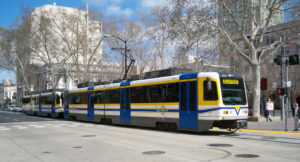 350 Sacramento is working on an initiative to make the Sacramento region carbon neutral and is also working with Sacramento Regional Transit and multiple stakeholders to improve, expand, and electrify the local transit system. Sacramento County is one of six jurisdictions across the state working with the State Department of Public Health and the Centers for Disease Control (CDC) to develop a Sacramento County Climate Change and Health Vulnerability Assessment as part of the CDC Building Resilience Against Climate Effects (BRACE) program. Several organizations offer programs to cool homes, save energy, and improve indoor comfort and air quality. 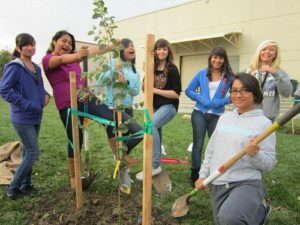 The Sacramento Tree Foundation (STF) and SMUD both passively cool buildings through STF’s NeighborWoods program, which works on increasing the urban forest in disadvantaged communities in South Sacramento, and SMUD’s cool roof rebates. The Community Resource Project provides weatherization measures and Solar PV for low income communities throughout Sacramento, Yuba and Sutter Counties, and both SMUD and the Sacramento Metropolitan Air Quality Management District (SMAQMD) provide free home energy-efficiency improvements for low-income residents. The City of Sacramento implemented an Urban Agriculture Incentive Zone Ordinance to create a more resilient food system within City boundaries. The ordinance allows property owners of vacant, blighted, or unimproved lots to receive tax benefits if the property remains in active agricultural use for five years. On a regional scale, several CRC members participate in the Farm to Fork to Fuel to Farm regional working group that reduces GHG emissions from food transport and landfills while supplying the Capital Region with renewable energy for vehicles and supporting local businesses. Sacramento County is updating the Sacramento Regional Local Hazard Mitigation Plan (LHMP) to identify hazards and strategies to reduce disaster losses, including a more robust section on the climate-related threats and adaptation strategies. The County is also working on a Communitywide Greenhouse Gas Reduction and Climate Change Adaptation Climate Action Plan (Communitywide CAP), which will include strategies to both reduce greenhouse gas emissions that are causing climate change and help the community prepare for and adapt to the effects of climate change. The City of Sacramento amended the City Code to comply with provisions of state law (per SB 5) which requires local jurisdictions to make specific findings prior to approving certain land use entitlements and other permits for projects located within a flood hazard zone. The ordinance went into effect on July 1, 2016. Valley Vision’s Business Resiliency Initiative works to increase awareness and preparedness for potential disaster risks faced by small and medium enterprises in the Capital Region, including flooding, drought, wildfire, extreme heat, and severe storms. The initiative provides a toolkit of interventions to help business owners manage risks and enhance resiliency on behalf of their businesses and employees. The City of Sacramento is developing ready-made landscape templates for water-efficient landscaping to assist the public in converting turf-based landscapes to water-efficient landscapes.